I’m not an avid cyclist. I don’t own cycle shoes (although I should), I don’t have spandex gear, and I definitely don’t wear those funny cycle caps with the mini brim. However, recently I’ve taken to classes at the gym which get me out of bed at 5 am and out of the gym by 7 or 8 depending on if I’m lifting that day. Grueling? YES. Worth it? Always! 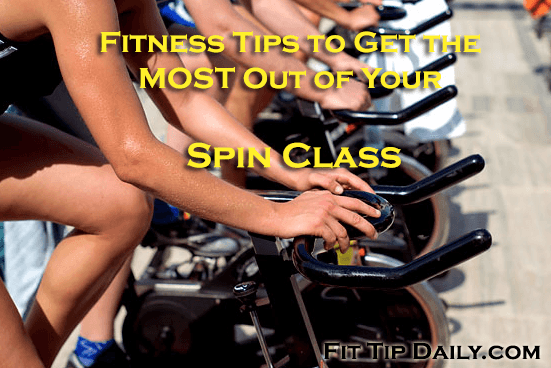 While going to these classes at the crack of dawn I’ve picked up some fitness tips for other people who are already taking cycling classes or are considering it. If you are wearing soft soled, flexible shoes, go back in the house and change! Cycling is hard on your shoes – you will tear those up in no time! Wear shoes with a pretty solid arch support – You will be using you calves (which connect to your arches). Without the right support you are causing you knees to jump all over the place while peddling for your life. Shorts in cycling class is a big no no unless they are extra long and fitted. Wear Tight fitting pants that won’t rub and. I like to wear tight capris so I don’t get as hot. Resistance in cycling class is all up to YOU. You adjust the resistance knob on your own bike so make sure you are pushing yourself or getting out of bed at “o dark 30” was a waste of your time. As you get tired you’ll see your body start to lose some of that control you once had 20 minutes ago. Look down at your knees, they should be lined up with your hips (not flared out or in). While looking at your knees, look at your feet. They should also be lined up with your knees and hips. DO NOT ALLOW them to turn out. If you are looking to add cycling to increase your endurance, loose inches and get leaner, then you can expect results within 2 -3 weeks. Weight loss and losing inches is all dependent on what you put in your mouth. You can’t lose if you celebrate surviving cycling class with morning pastries. SO Keep track of your intake! I also think that weight training is an important part of your routine (3 times a week). If you aren’t sure what weight training to be doing then leave it to me! Use our free Body Burn Workout Routines to get you started! 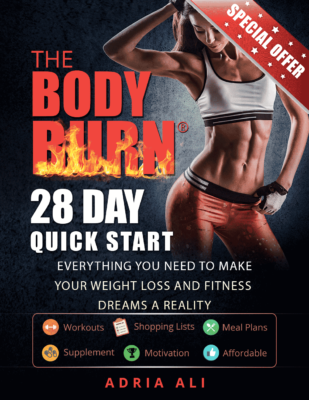 Enter the Body Burn Exercise portal here!